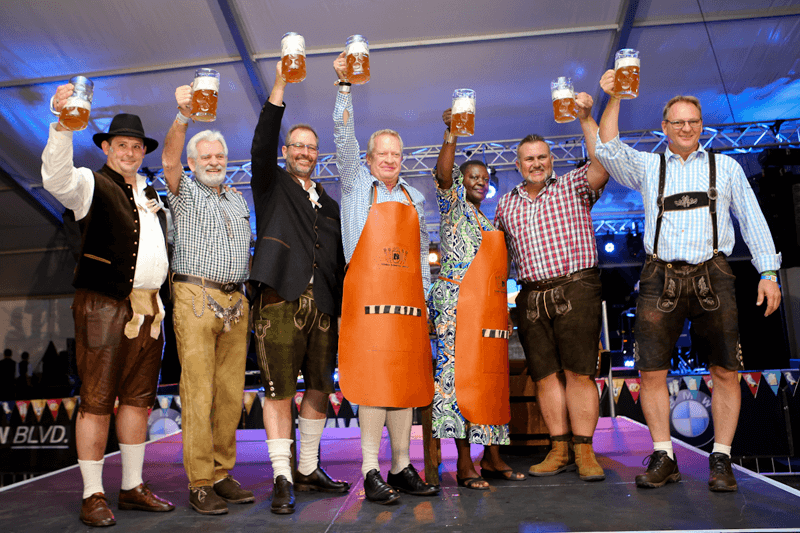 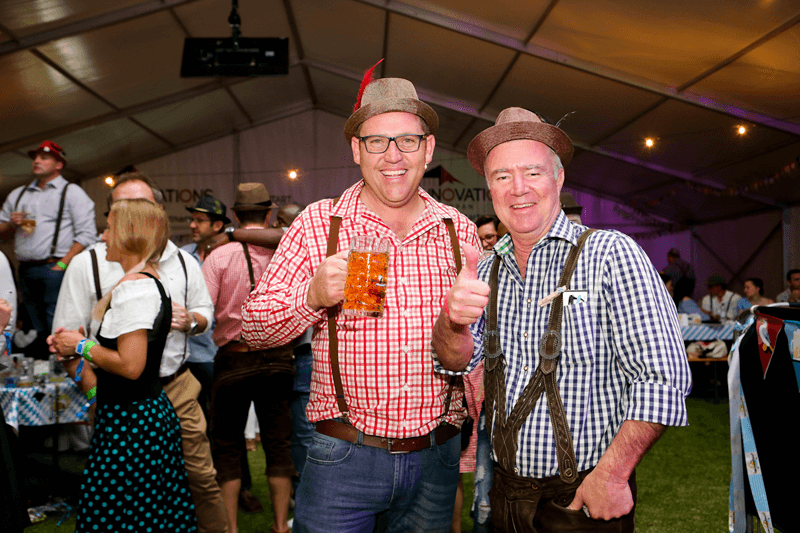 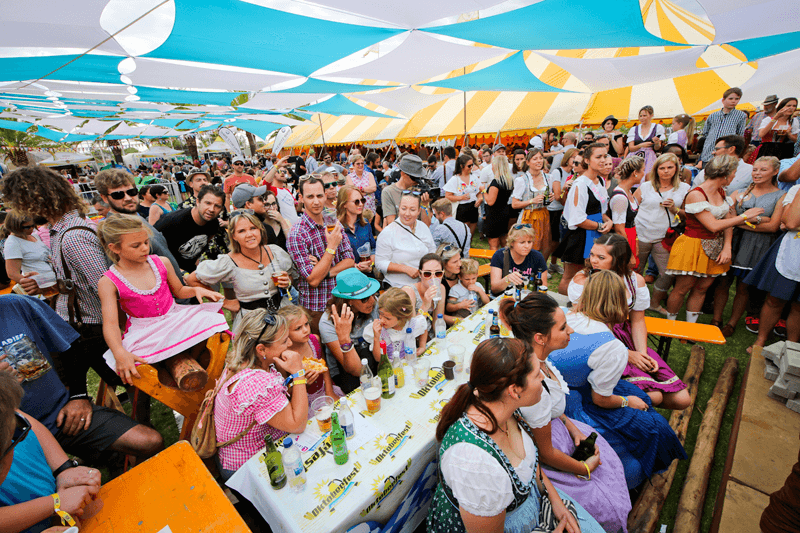 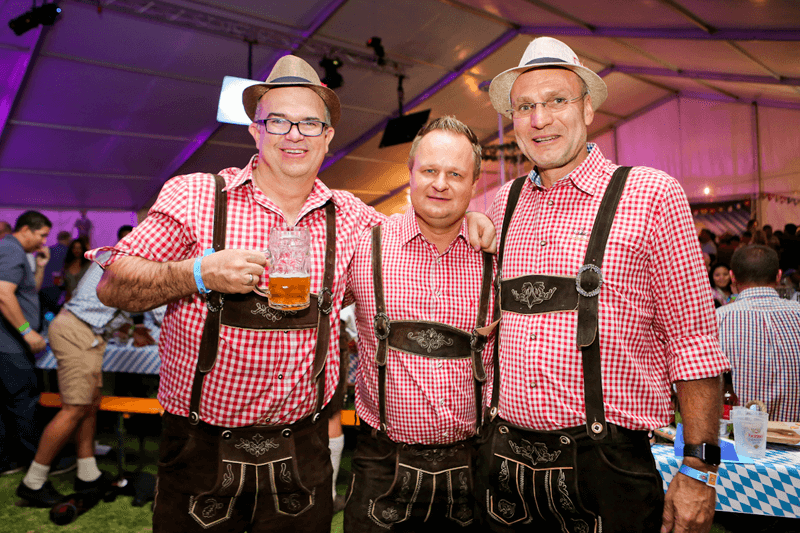 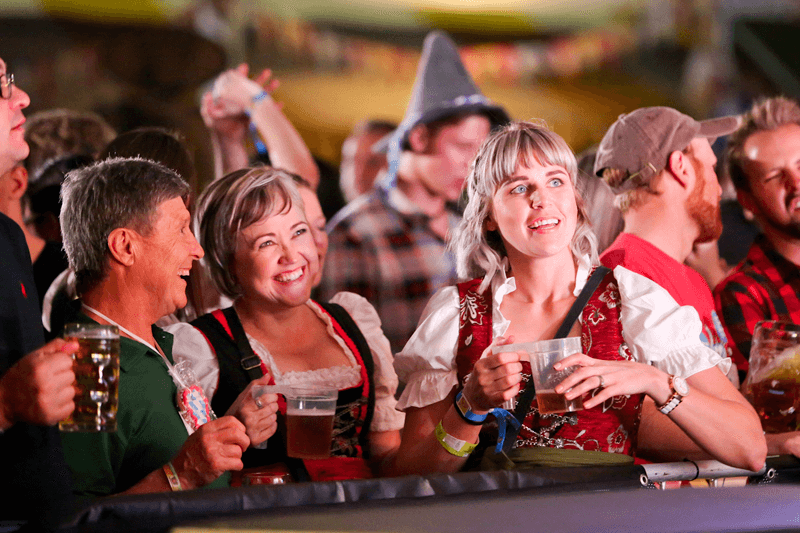 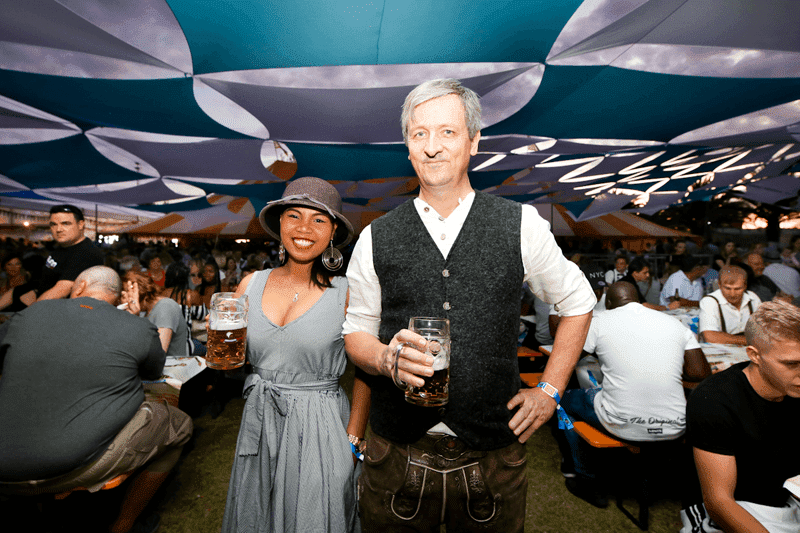 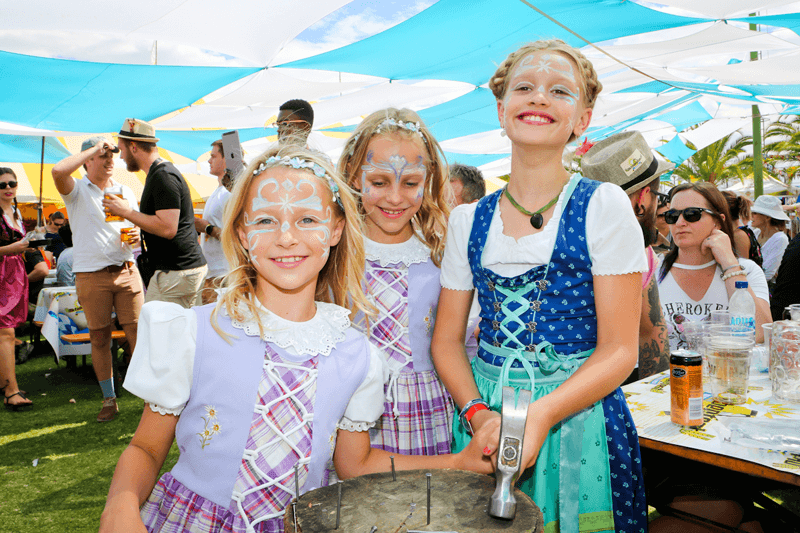 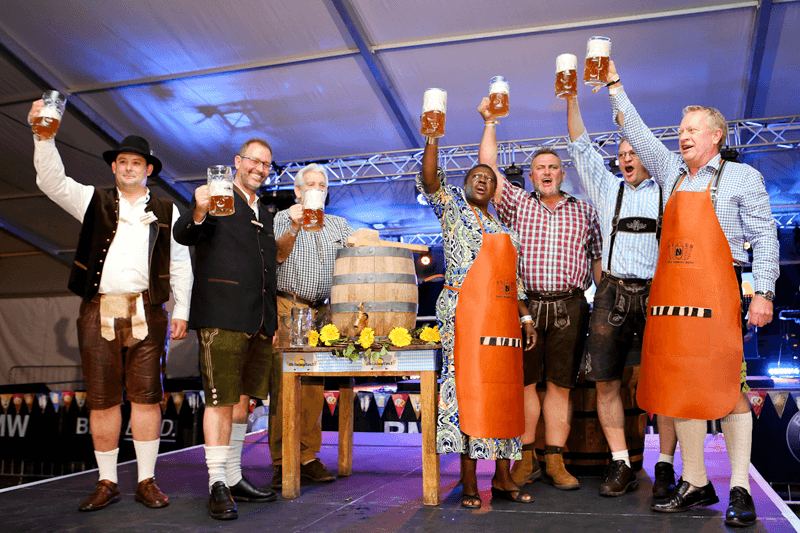 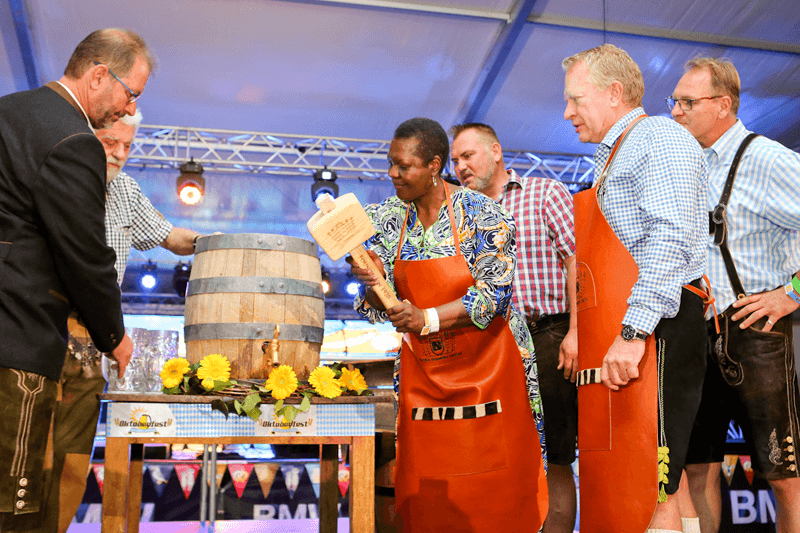 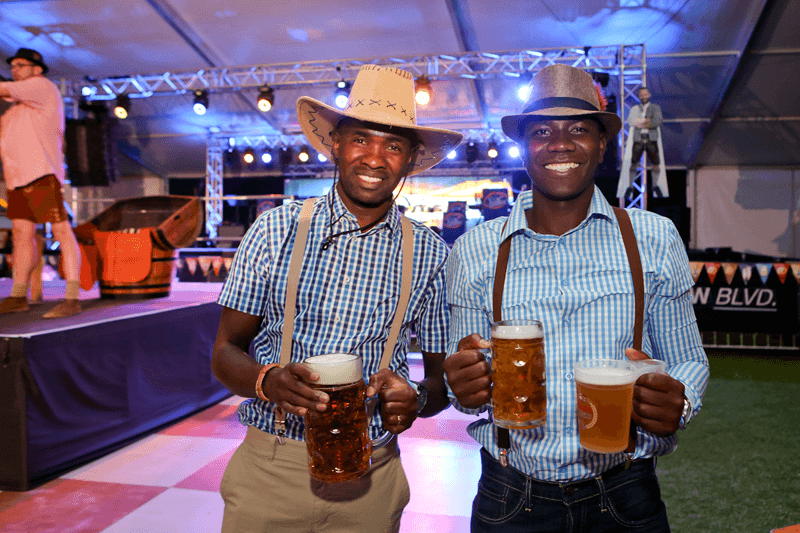 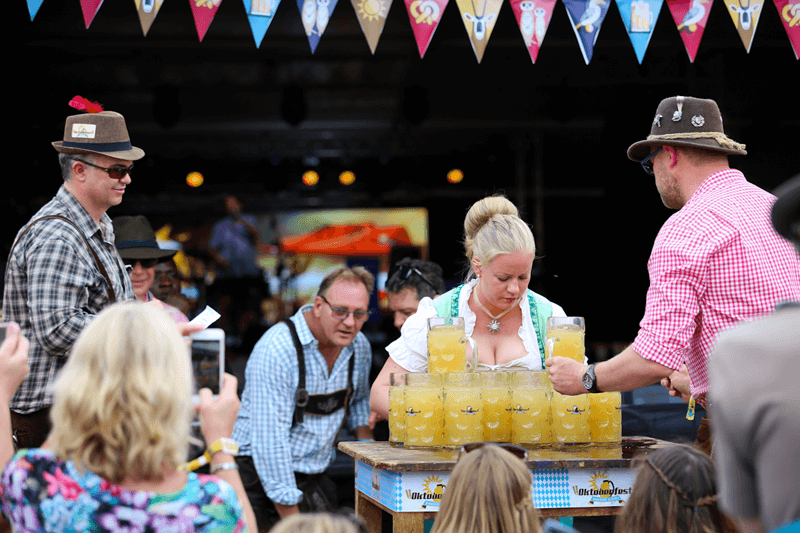 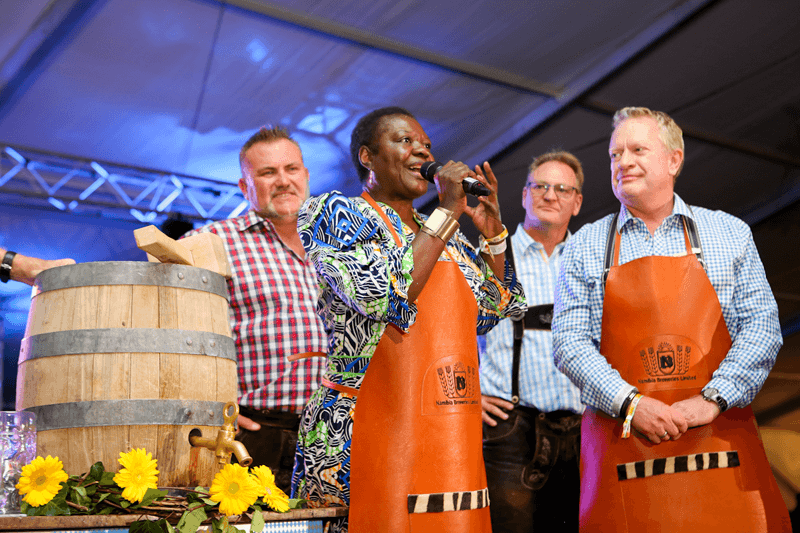 A special Festbier is brewed every year for the Windhoek Oktoberfest. 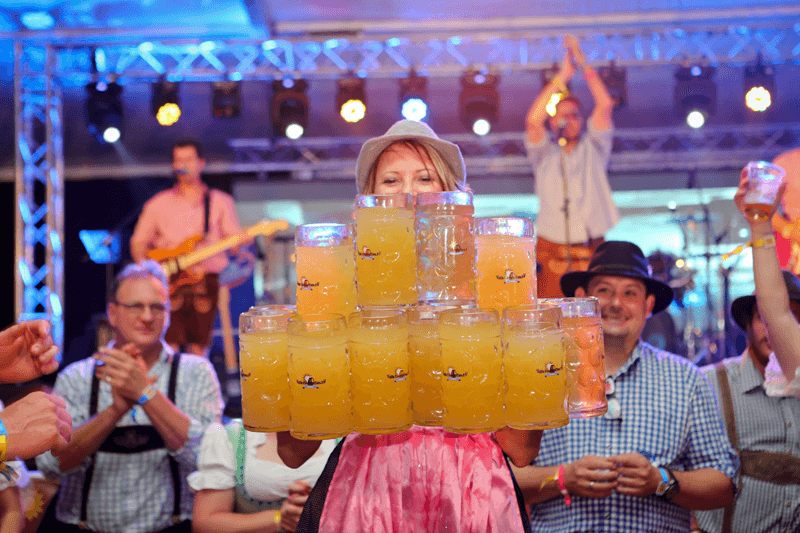 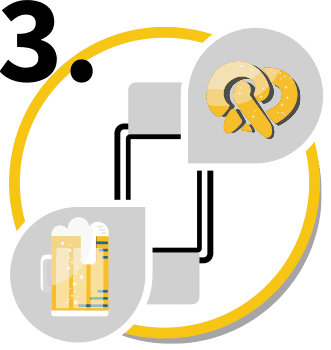 You can expect an easy drinking beer, suitable to the season and perfect for the event. 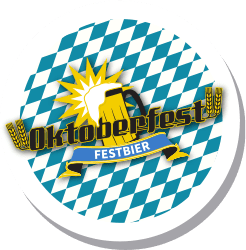 The distinguished characteristics of this year’s Festbier are a palatable malty body and a subtle hoppy bitterness with an elevated alcohol content of 5.8%. 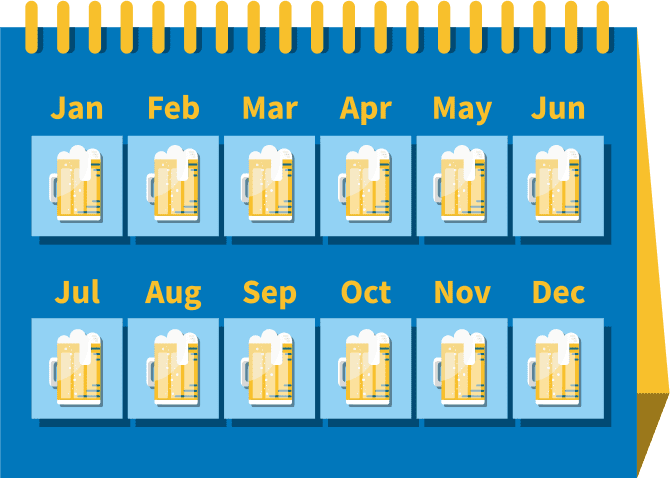 The aroma is rather biscuit-like than fruity with a low but noticeable hop flavour. 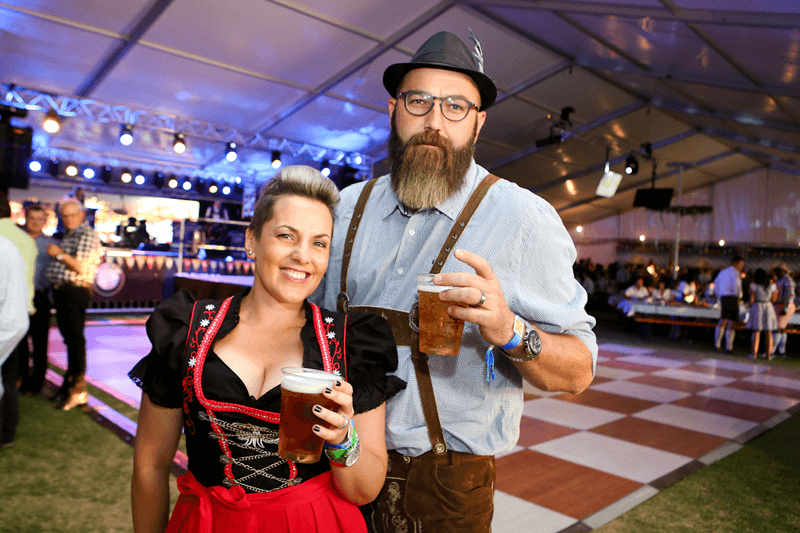 In some regions of Germany this Festbier would be called a “Märzen”, which is also somewhat darker, sweeter, stronger and maltier compared to a “Lager”. 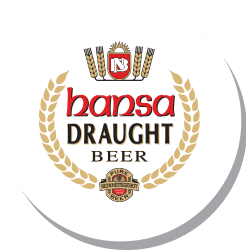 Hansa Draught is the original Namibian on tap offering, originating in the early 1900’s and still Namibia’s favorite draught on tap. 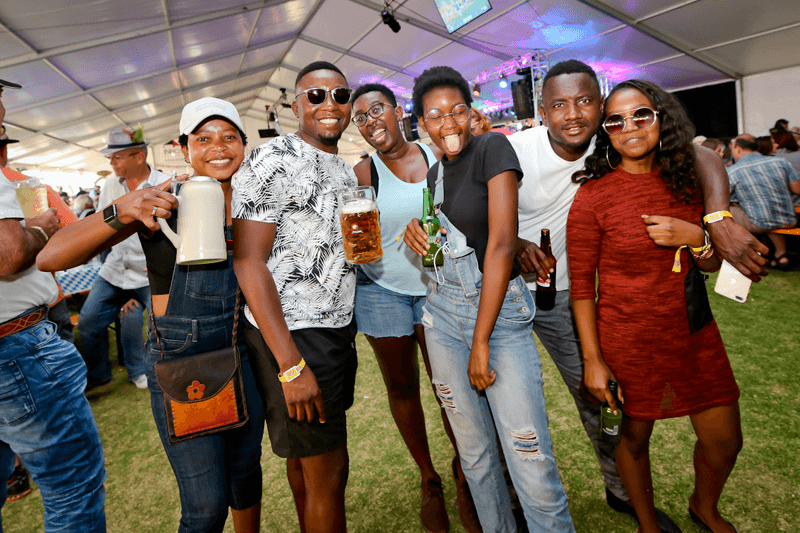 Hansa Draught has an alcohol content of 4% making it the perfect choice for those long summer days. 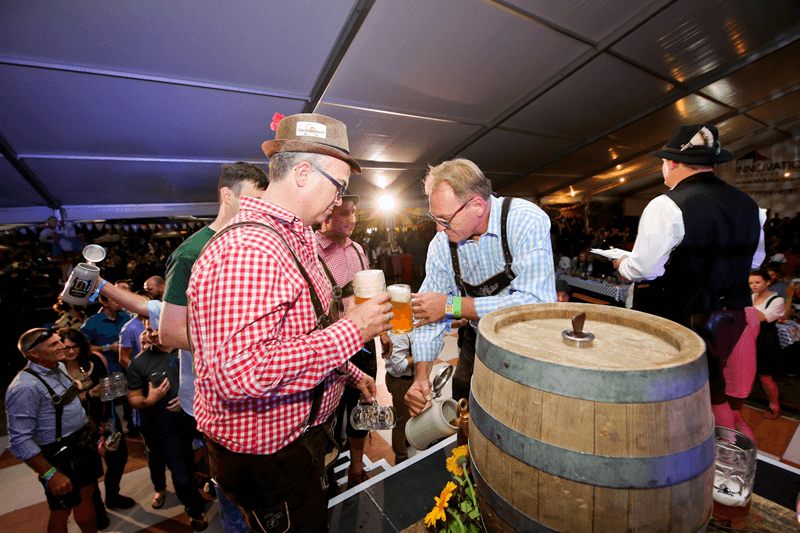 Brewed using only malted barley, hops and water in accordance with the Reinheitsgebot purity law of 1516. 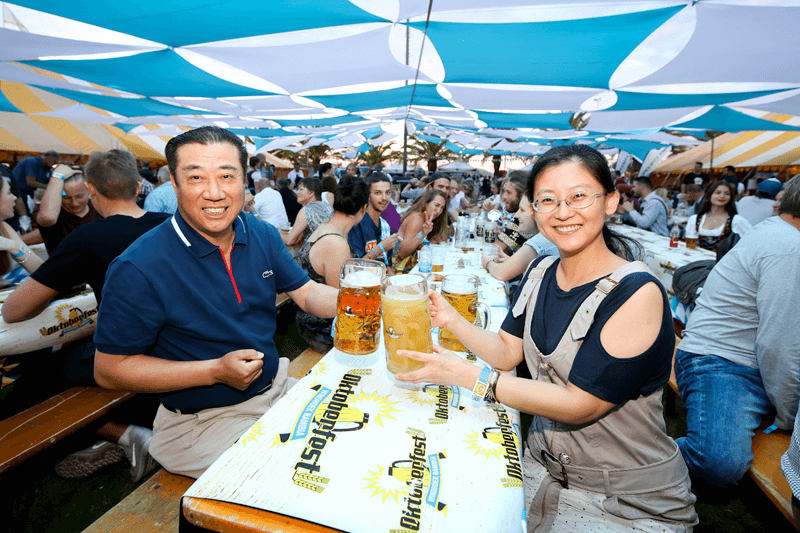 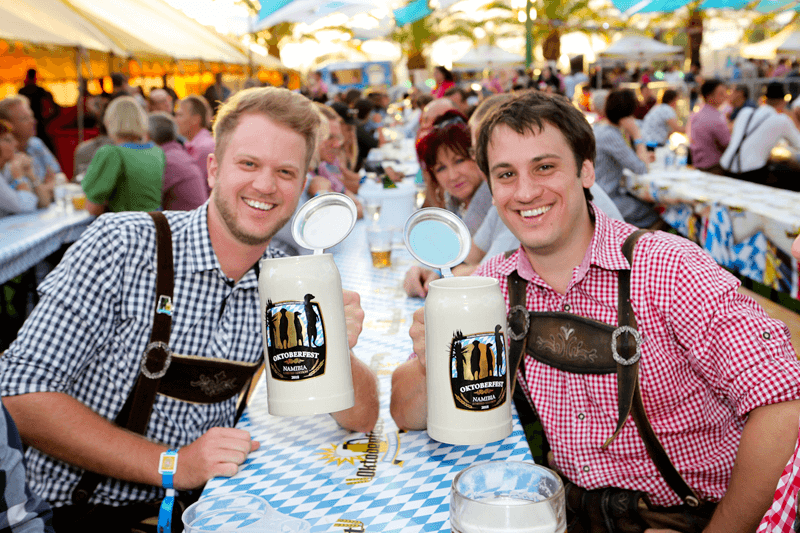 Enjoy a cold one, prost! 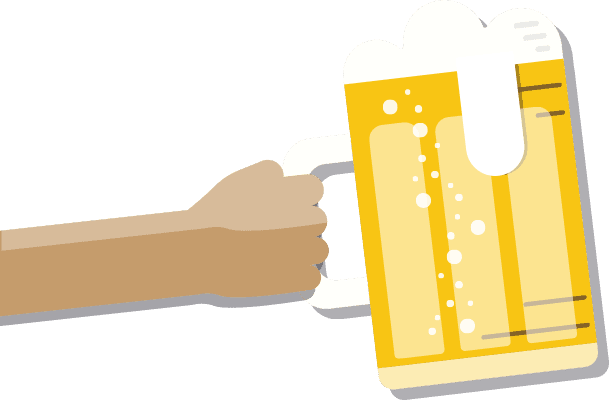 Camelthorn Helles is a traditional German pale lager. 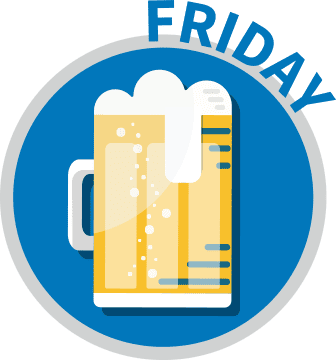 And yes, we could tell you this really Namibian small-batch Helles has been expertly brewed with the finest Saphir Hops, for a smooth, refreshing, easy-drinking taste, but we know the answer to the more important question: Yes. 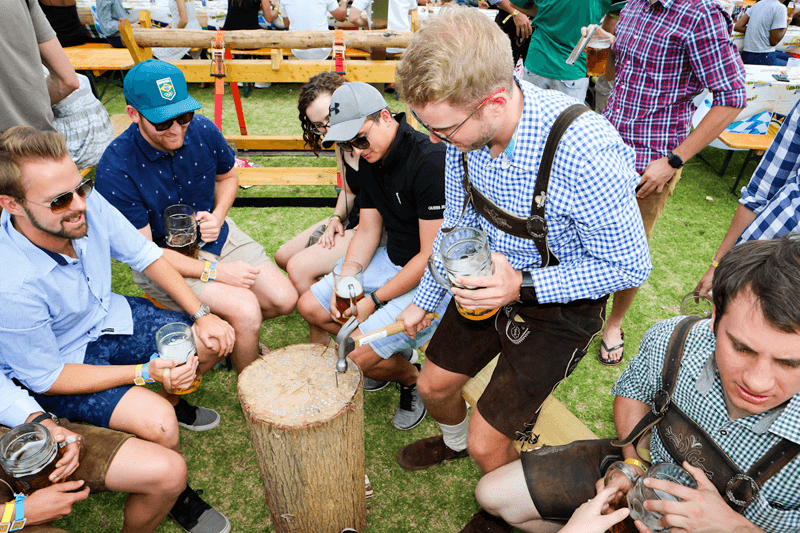 You’ll definitely want another one. 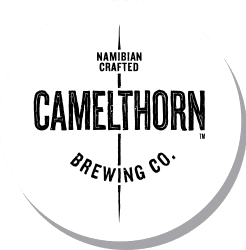 Camelthorn Weiss is a filtered Weiss which tastes great and we’ve used the best Lemondrop Hops to deliver an easy drinking craft beer, that’s both fruity and spicy. 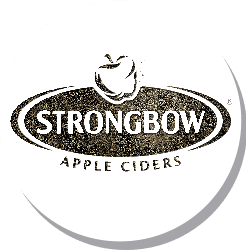 Made from apples, Strongbow brings nature to the city and invites us to experience its uplifting natural refreshment! 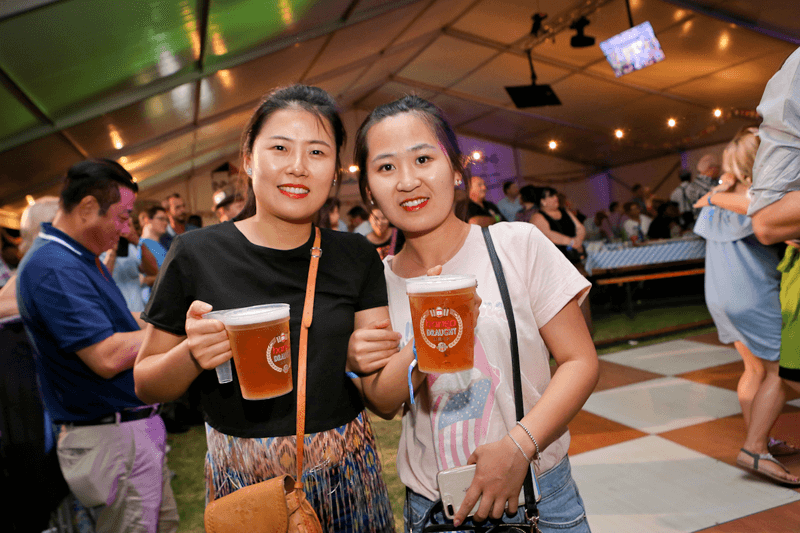 A cool glass of ERDINGER Alkoholfrei not only tastes fantastic, but also has vitamins B12 and folic acid, as well as the polyphenols. 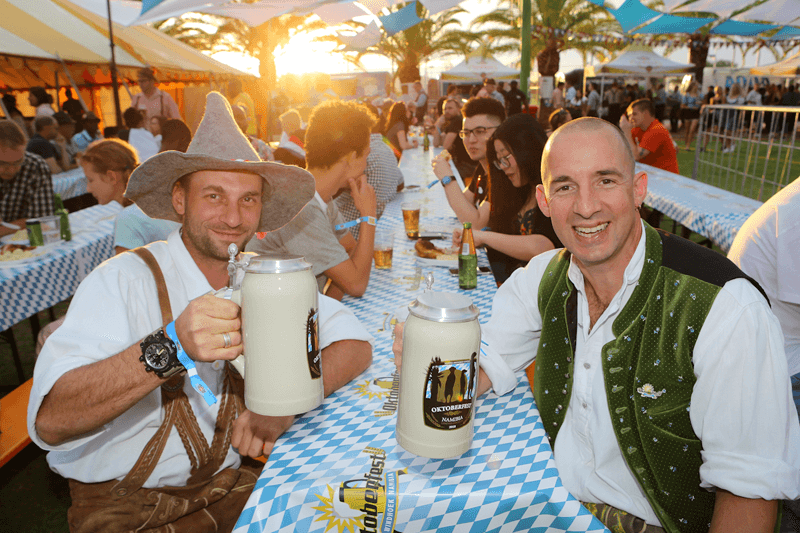 With its isotonic properties, it provides the body directly with valuable ingredients and thus satisfies thirst even faster. 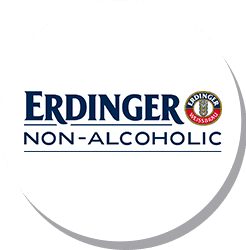 The non-alcoholic drink from Erding is not only a real refreshing drink but also low in calories, with just 125 kcal per 0.5-litre bottle, and made exclusively from natural ingredients. 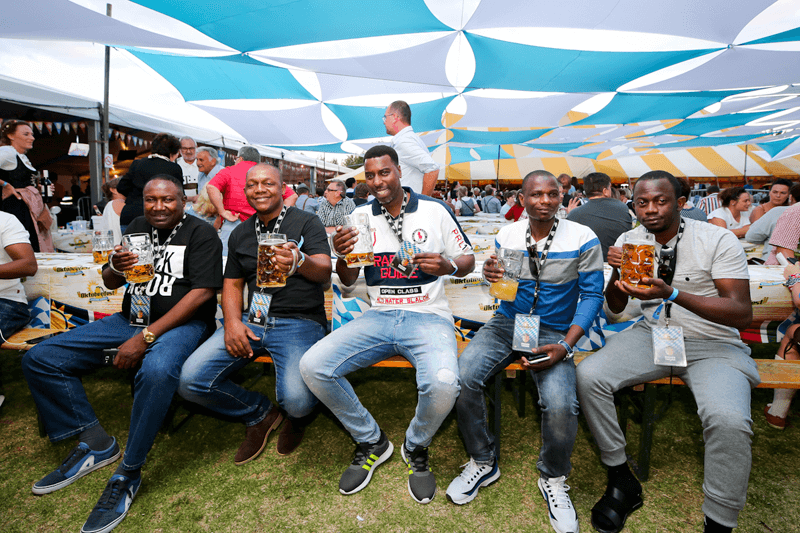 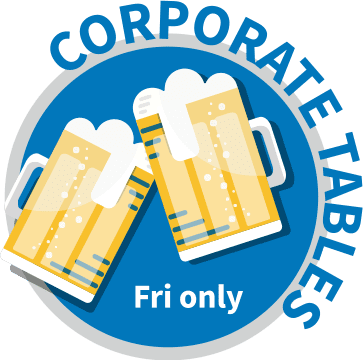 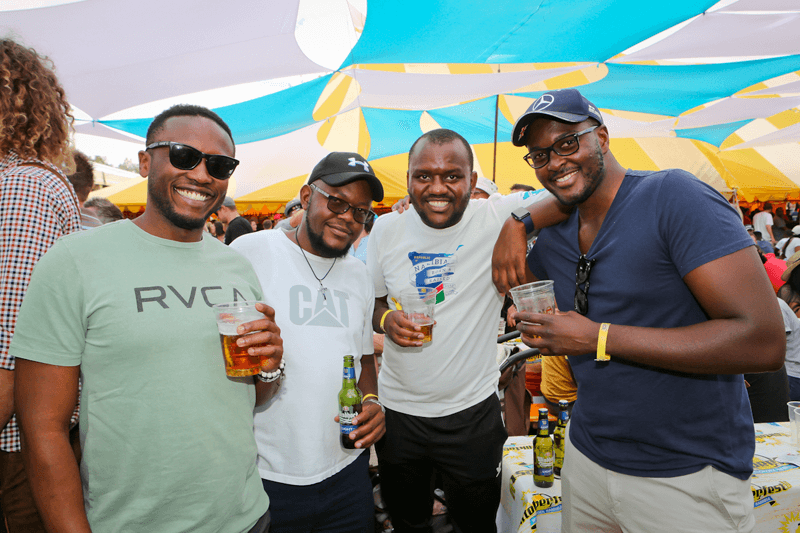 Endorsed by the most loved beer brand in Namibia - Tafel Lager – NBL brings you Tafel Radler! 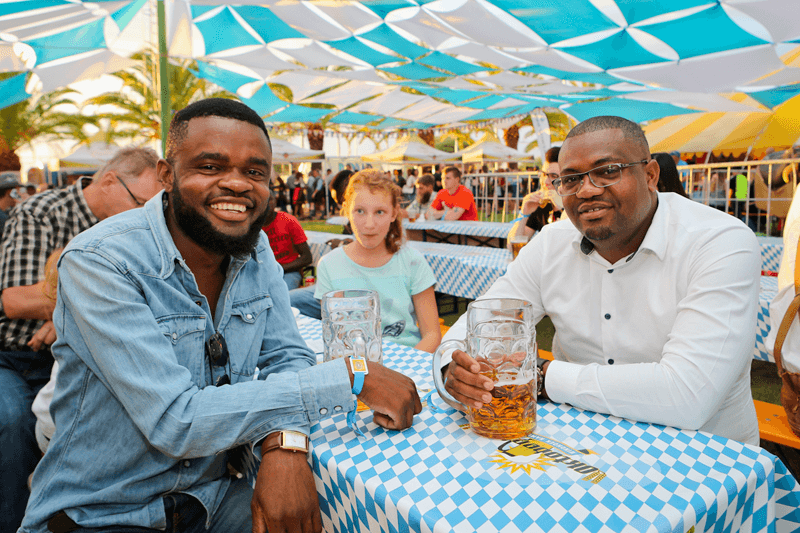 This Refreshing Fusion of Tafel Lager and lemon with a zesty thirst-quenching taste is the perfect balance between refreshment and natural flavours – not too bitter, not too sweet. 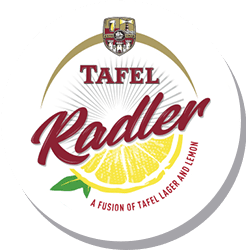 Tafel Radler - the perfect companion for all chilling occasions, made with natural ingredients, no added preservatives. 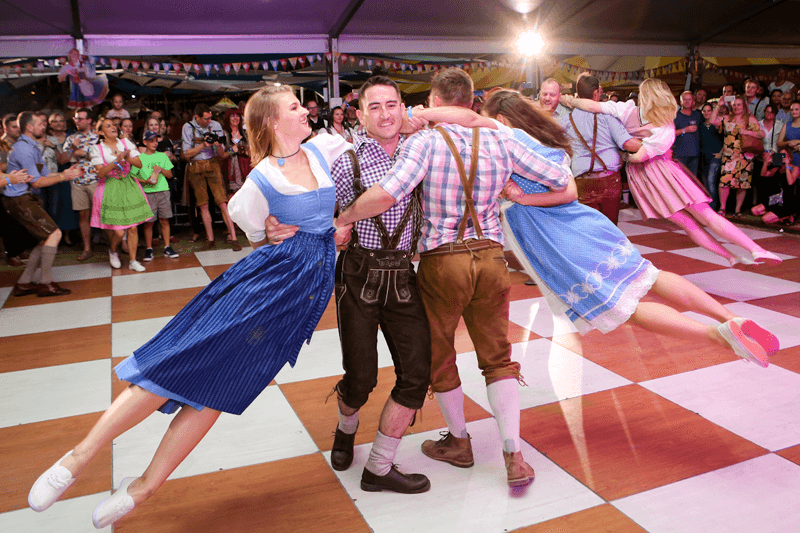 The Schuhplattler is a traditional style of folk dance popular in the regions of Bavaria and Tyrol. 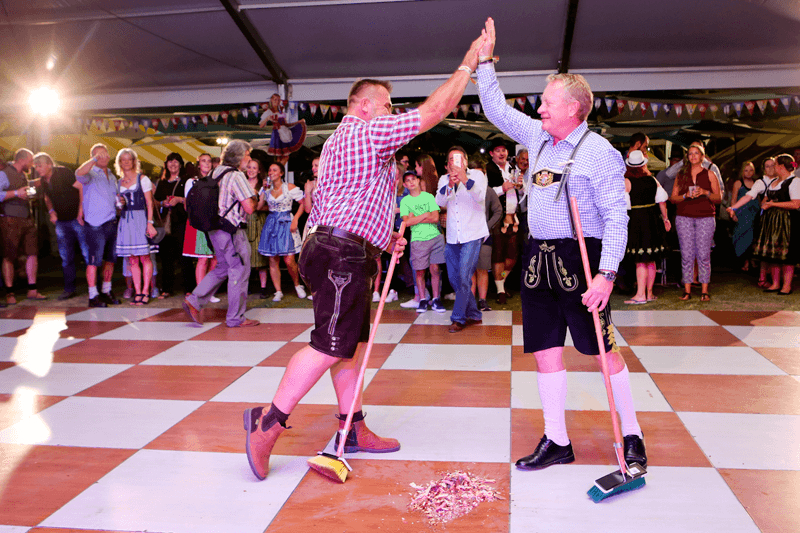 In this dance, the performers stomp, clap and strike the sole of their shoes (Schuhe), thighs and knees with their hands held flat (platt). 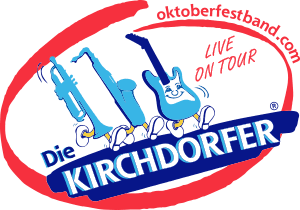 The official and original Oktoberfest band that actually plays always LIVE at the Oktoberfest in Munich every year, since 1994. 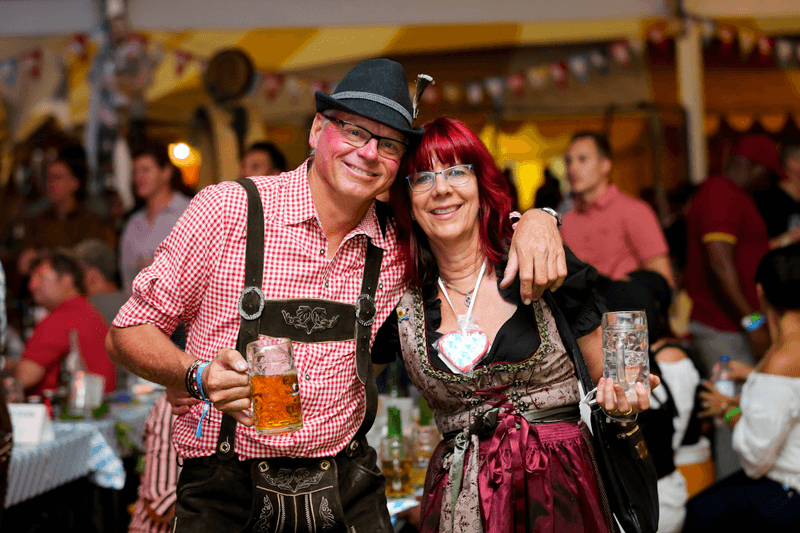 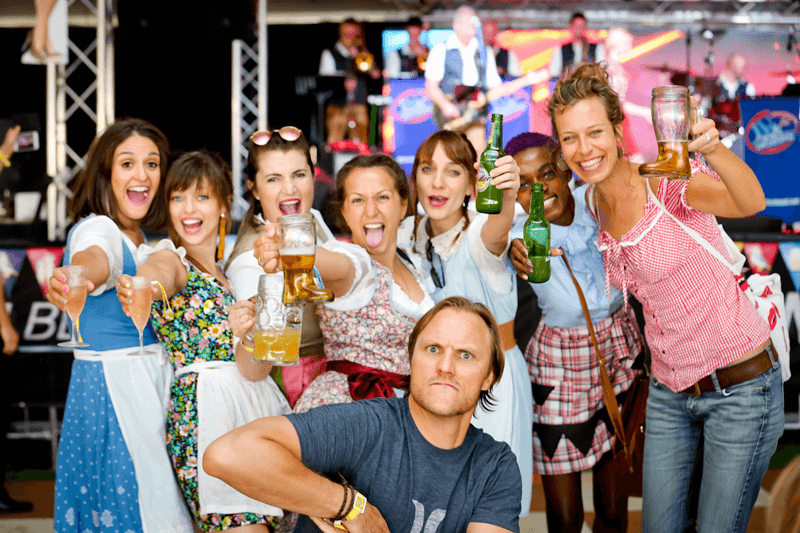 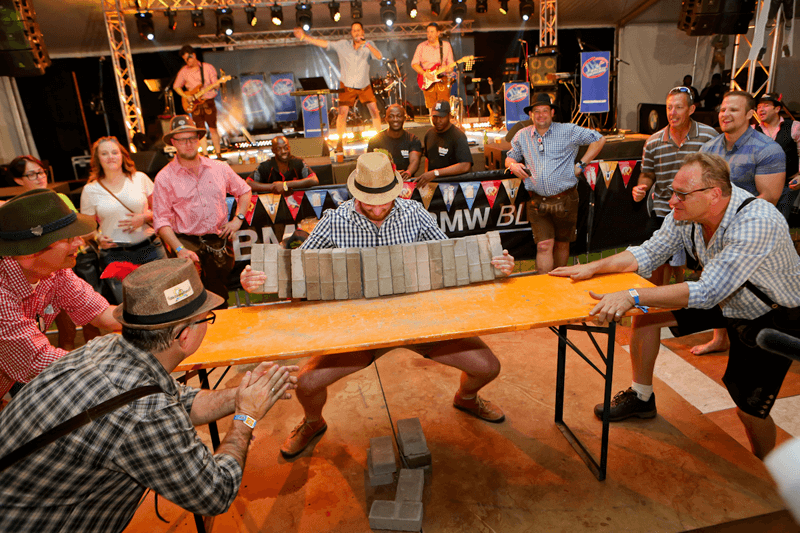 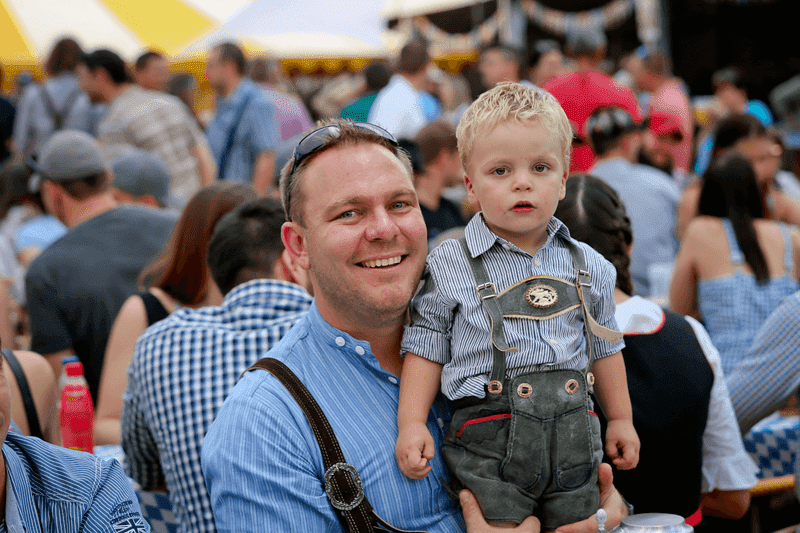 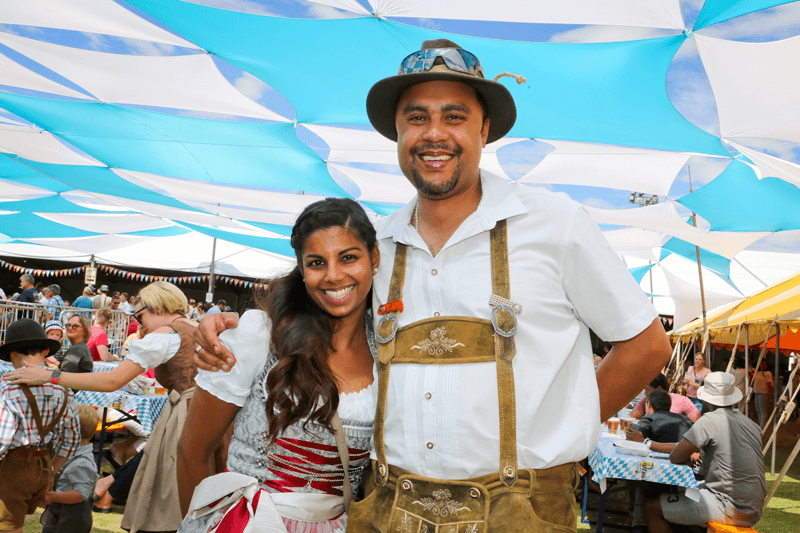 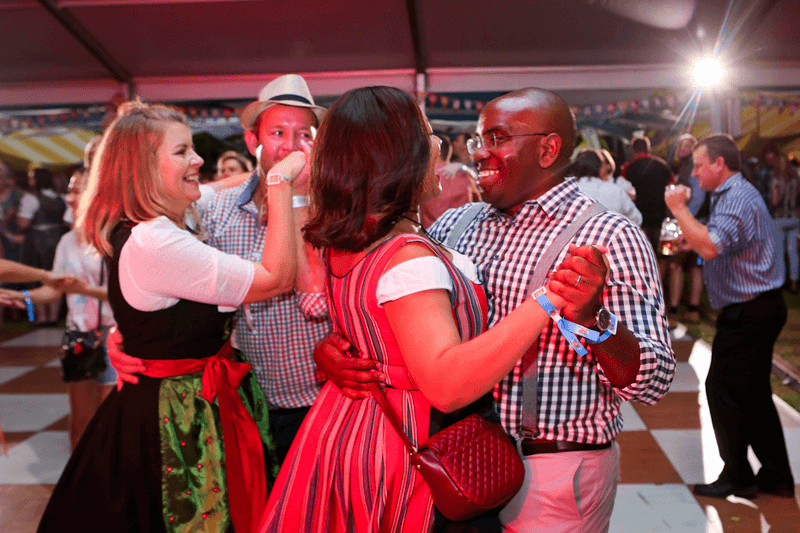 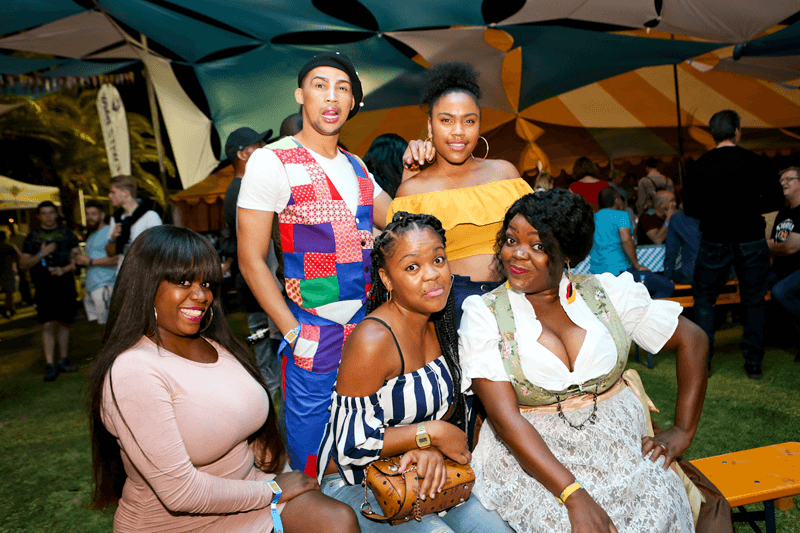 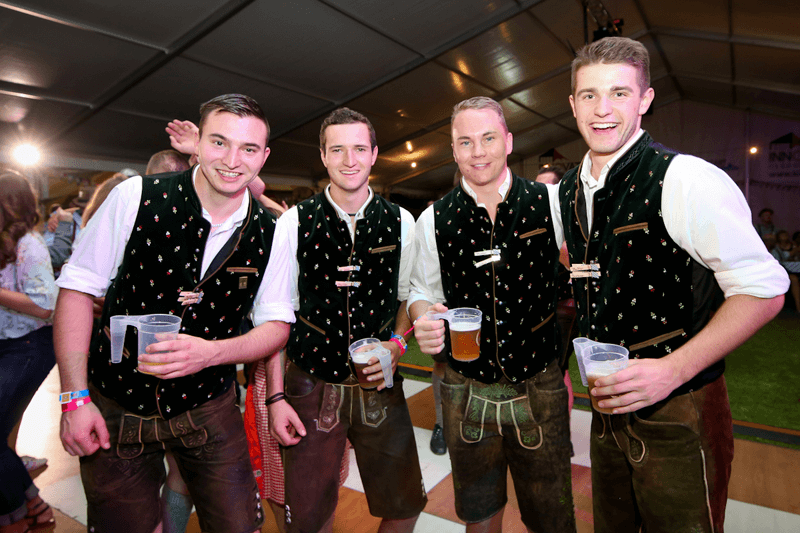 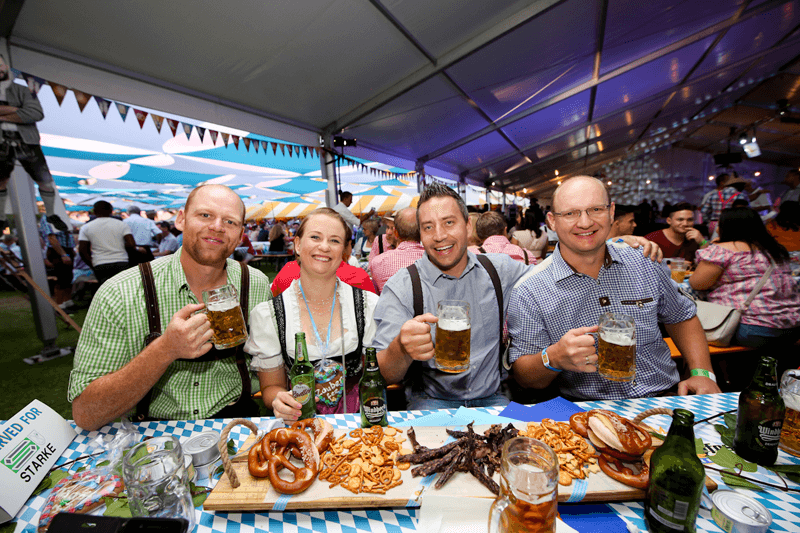 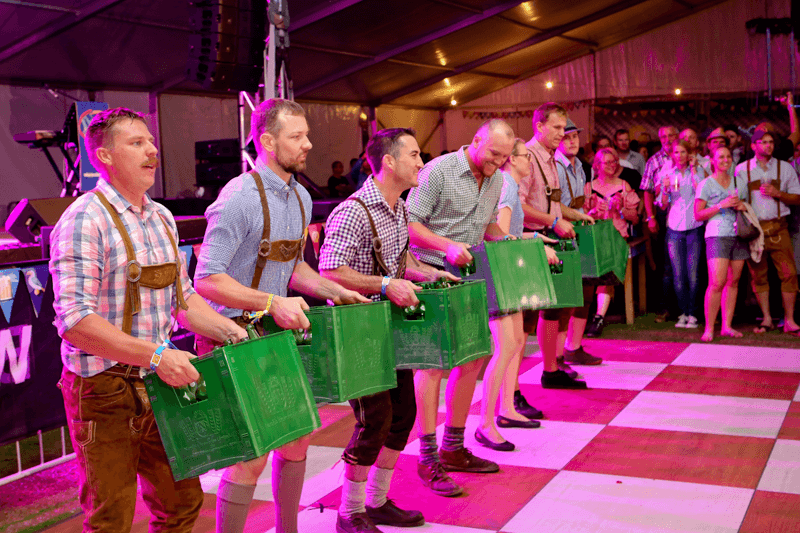 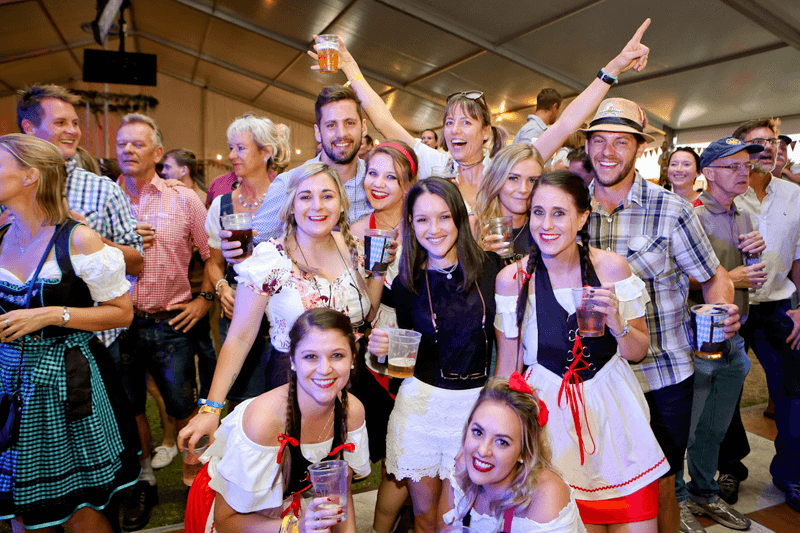 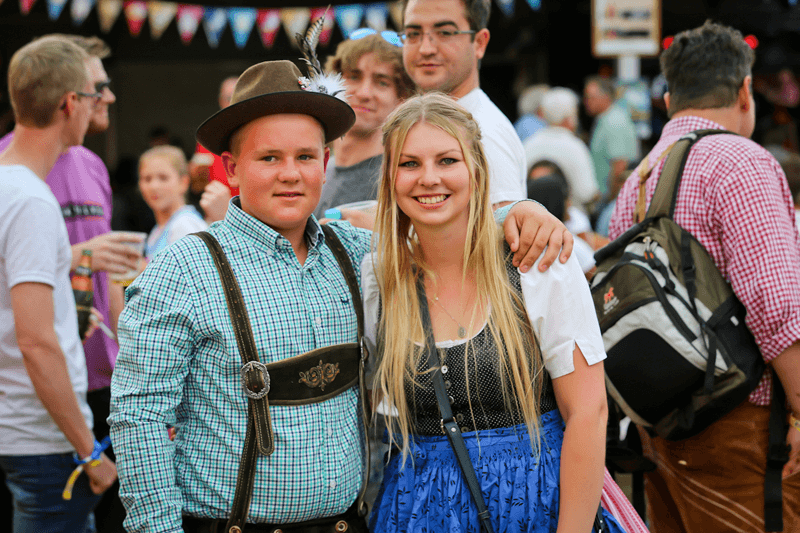 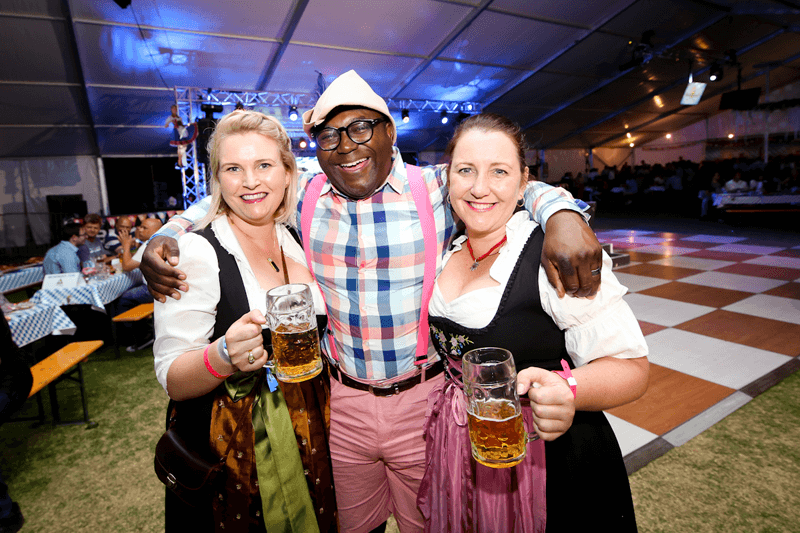 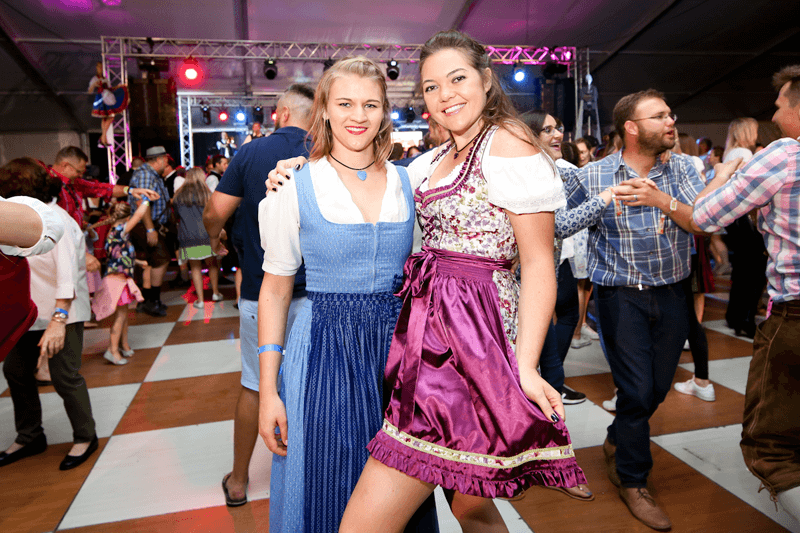 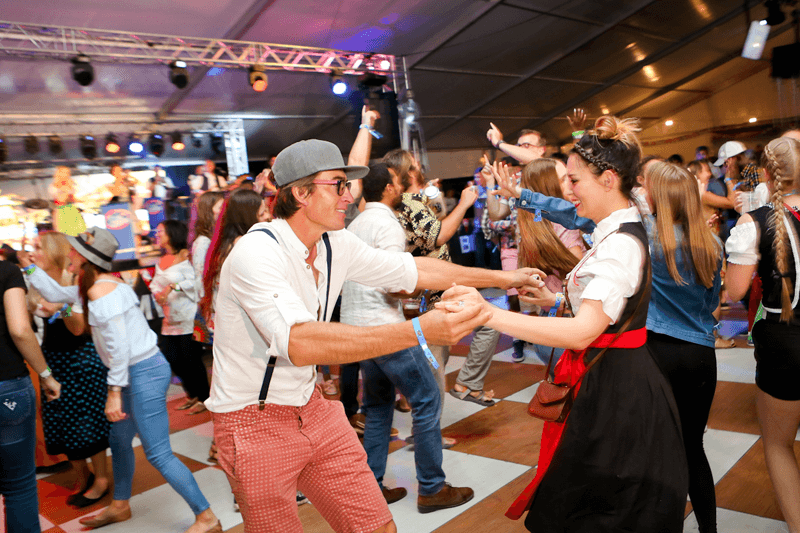 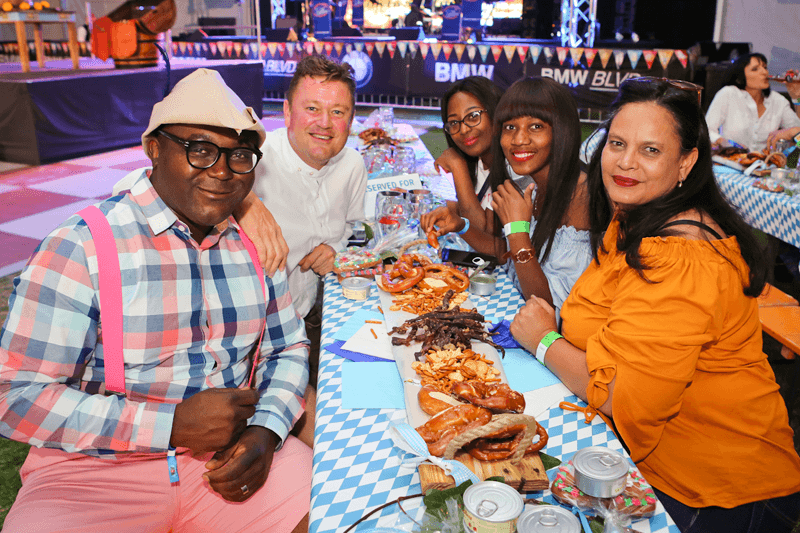 They join us at the Windhoek Oktoberfest to give our guests that authentic Oktoberfest entertainment. 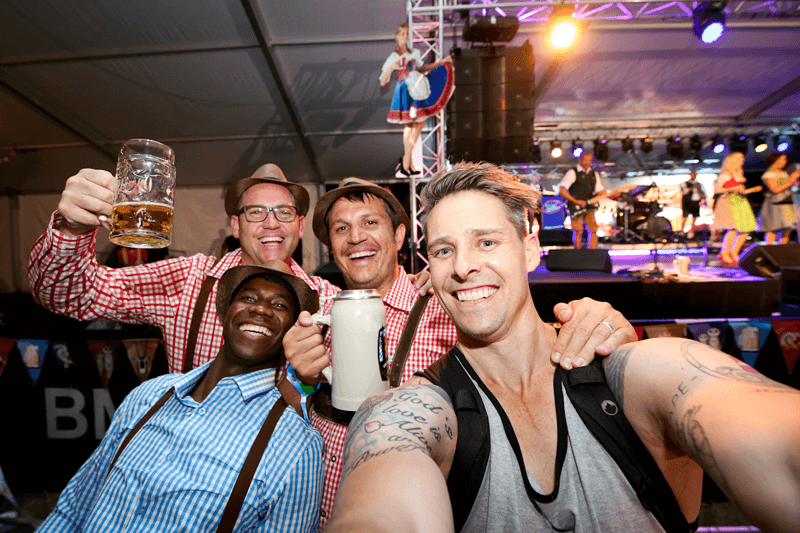 As our official NBL Band Ambassadors ‘Die Broers’ bring some local flavour to the Windhoek Oktoberfest. 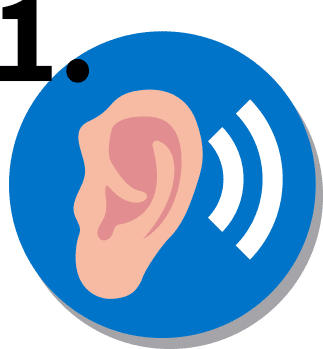  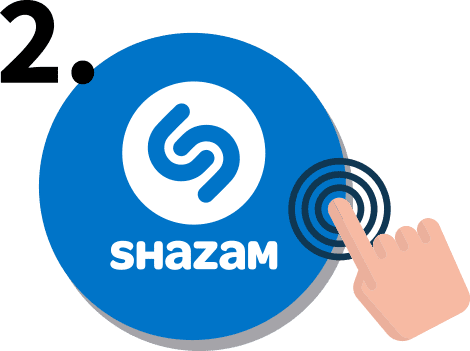 Hit the Shazam button on your phone and you will be directed to the competition. 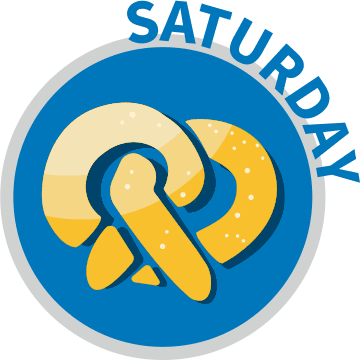 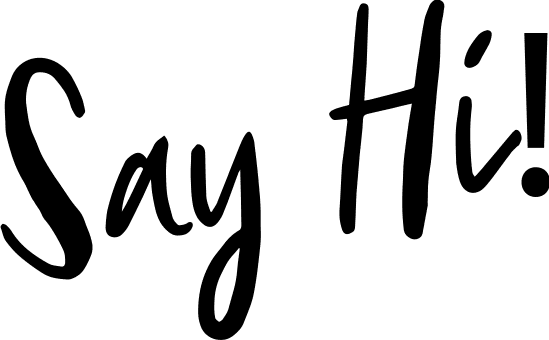 see if it’s your lucky day. 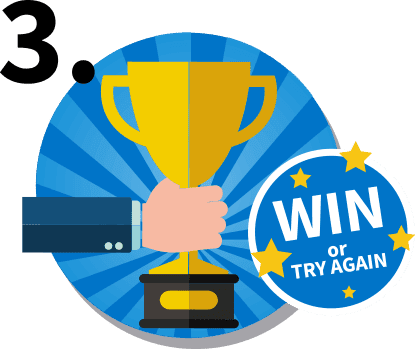 If you don’t win, please try again. 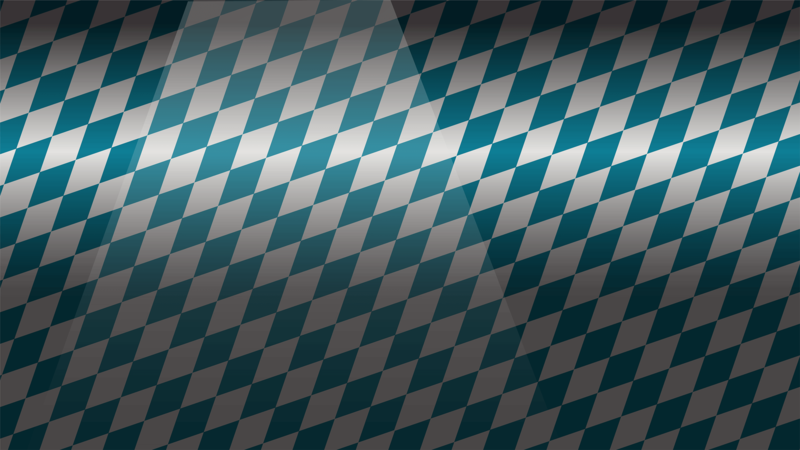 you will be directed to a mobi site. 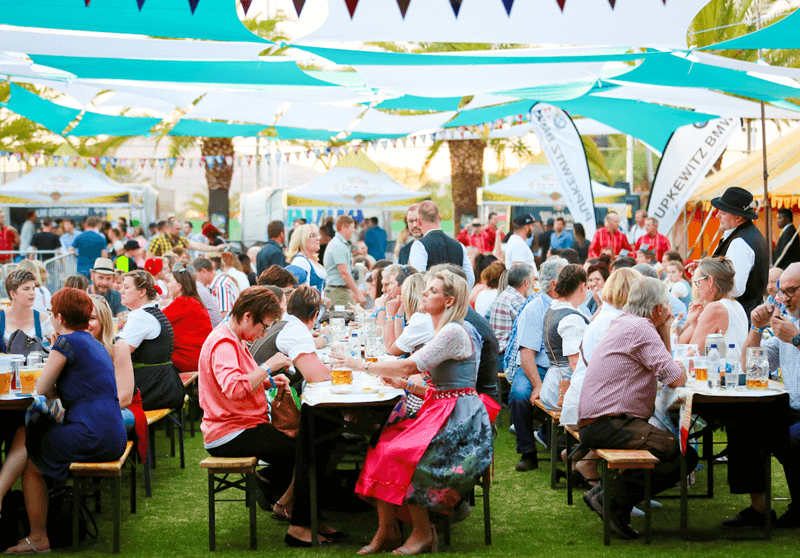 Please book by 6th October by phone at 061 320 4076. 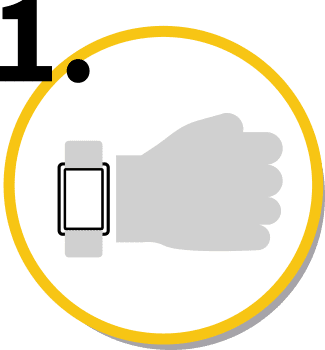 Go to the PayPoints and deposit money onto your wristband, pay with cash or with card. 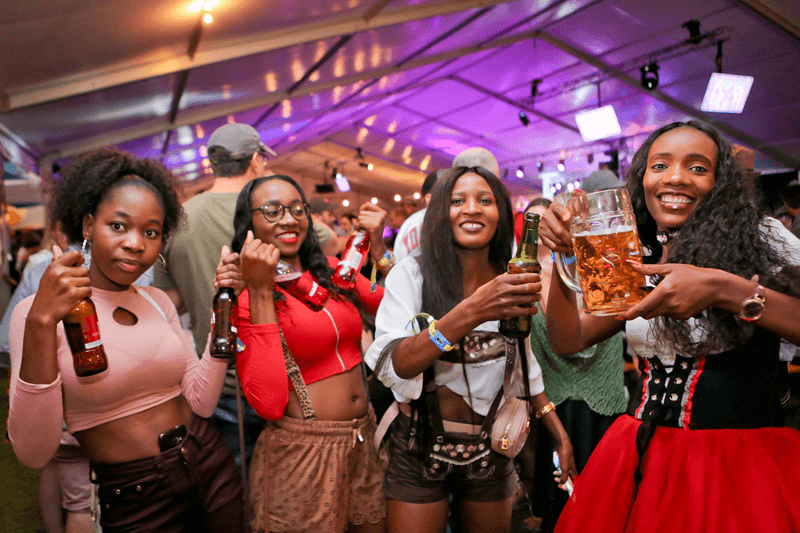 After the event you have 5 working days to ask for a refund of the money that is left on your wristband. 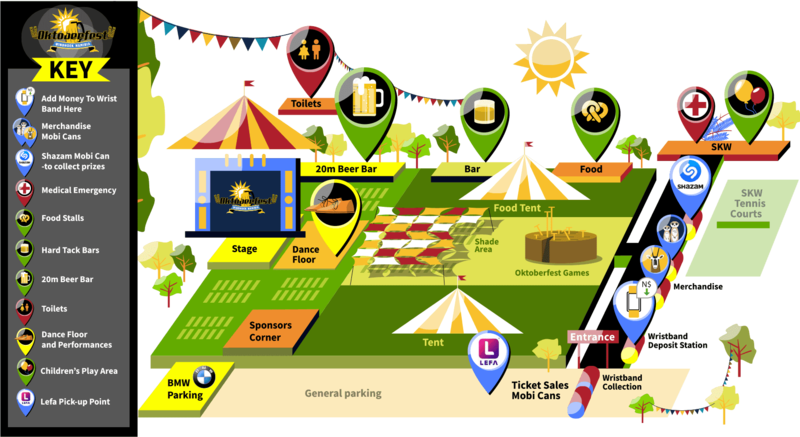 Pay your food, drinks and merchandise at the different stalls by tapping your wristband against the PayPoint device. 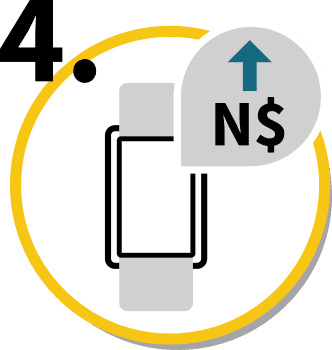 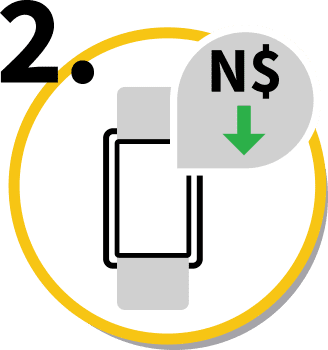 You can then also check your balance. 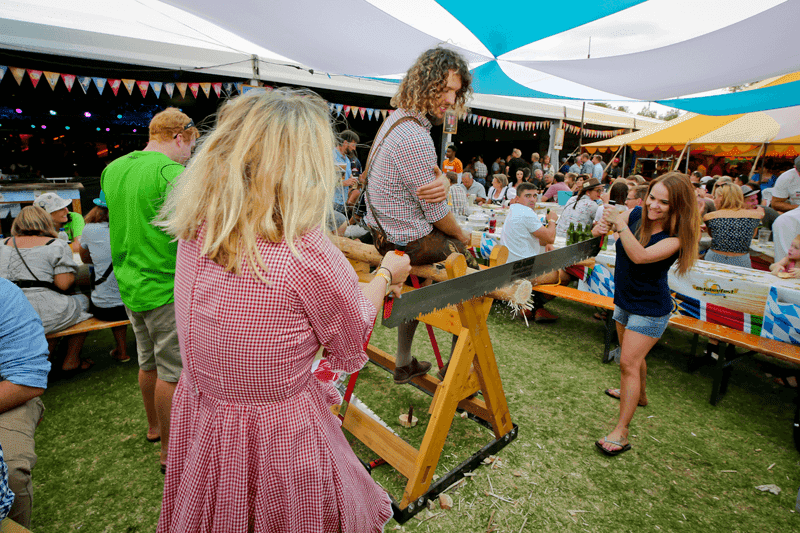 * Keep some cash handy as there might be some games and stalls that still run on cash.